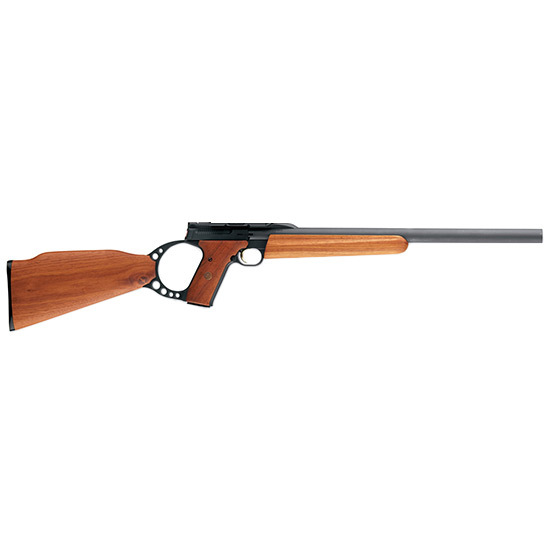 Browning 021025202 Buck Mark Target Semi-Automatic 22 Long Rifle 18 10+1 Hardwood Oil Finish Stock Blued in. Based on the popular and proven Buck Mark pistol the Browning Buck Mark Rifle is one of the most unique rimfires ever produced. These nifty little rifles offer everything you need dialed in ergonomics fast handling and modern styling. Plus like their namesake the Buck Mark rifles provide outstanding accuracy dependable blowback operation a crisp single action trigger pull and magazines that are interchangeable throughout the Buck Mark line.